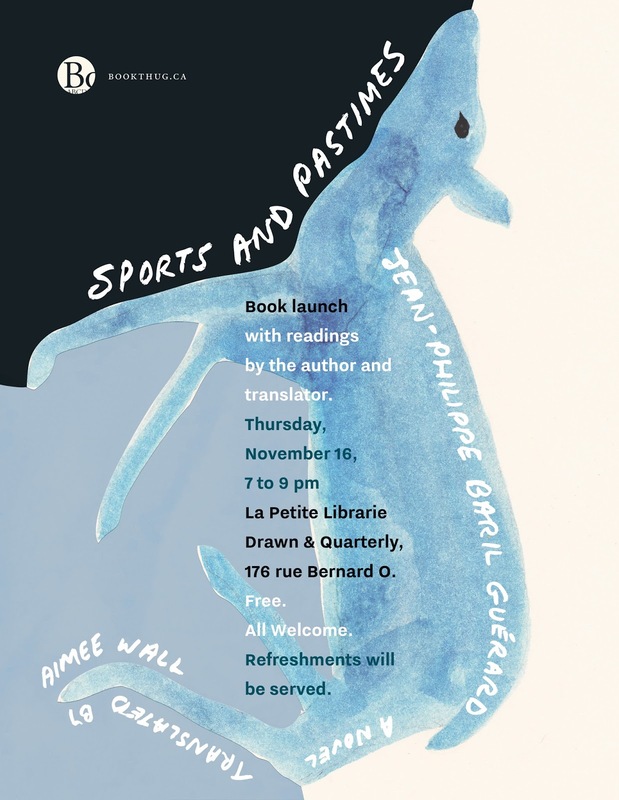 BookThug invites you to the launch of Sports and Pastimes by Jean-Philippe Baril Guerard, translated from the French by Aimee Wall. Tonight! Thursday, November 16 2017, 7pm at 176 Bernard O., just east of the flagship Librairie. See the Facebook event here. Translated by Aimee Wall, this fast-paced story follows the daily life, at once empty and overloaded, of a group of friends who spend all their energy trying to distract themselves with huge hits of endorphins, art and various substances, navigating pleasure and boredom, the extraordinary and the banal, as (more or less) worthy representatives of the best and worst of what their era has to offer. Consider a mashup of Girls and Less Than Zero and you are pretty close to the fun and games of Sports and Pastimes.